"Sampath Speaking" - the thoughts of an Insurer from Thiruvallikkeni: Diwali India photo from space ~ Paolo Nespoli from ISS mission 52..
Diwali India photo from space ~ Paolo Nespoli from ISS mission 52..
Born in 1957 in Milan, Italy, Paolo Nespoli’s hometown is Verano Brianza, Milan, Italy. He enjoys scuba diving, piloting aircraft, assembling computer hardware, electronic equipment and computer software. Since its inception in 1958, NASA has accomplished many great scientific and technological feats in air and space. NASA technology also has been adapted for many nonaerospace uses by the private sector. NASA remains a leading force in scientific research and in stimulating public interest in aerospace exploration, as well as science and technology in general. Expedition 52 is the 52nd expedition to the International Space Station. It officially began on June 2, 2017 10:47 UTC, with the undocking of Soyuz MS-03. Due to a decision to cut down the number of participating Russian cosmonauts in 2017, only two crew members were launched on Soyuz MS-04, which brought the ISS total crew down to five people. Recently I had posted on ‘fidget spinner’ video posted by NASA astronaut Randy Bresnik, who is currently aboard the space station as part of Expedition 52/53, of him and his colleagues playing with a fidget spinner. In the video that gone viral, the team performs a series of tricks with the NASA-branded (of course) spinner, pretending to spin along with it in various directions as they float through the microgravity of the space station. For example, flight engineer Mark T. VandeHei holds the fidget spinner while he himself does full rotations along a horizontal plane; another crew member Joe Acaba does dizzying somersaults while the fidget spinner rotates in his hand. The International Space Station (ISS) is a space station, or a habitable artificial satellite, in low Earth orbit. Its first component launched into orbit in 1998, and the ISS is now the largest human-made body in low Earth orbit and can often be seen with the naked eye from Earth. The ISS consists of pressurised modules, external trusses, solar arrays, and other components. ISS components have been launched by Russian Proton and Soyuz rockets, and American Space Shuttles. The ISS serves as a microgravity and space environment research laboratory in which crew members conduct experiments in biology, human biology, physics, astronomy, meteorology, and other fields. The ISS is the ninth space station to be inhabited by crews, following the Soviet and later Russian Salyut, Almaz, and Mirstations as well as Skylab from the US. The station has been continuously occupied for 16 years and 354 days since the arrival of Expedition 1 on 2 November 2000. This is the longest continuous human presence in low Earth orbit, having surpassed the previous record of 9 years and 357 days held by Mir. The ISS programme is a joint project among five participating space agencies: NASA, Roscosmos, JAXA, ESA, and CSA. Deepavali was celebrated very grandly all over India. In Thiruvallikkeni divyadesam, the purappadu of Sri Parthasarathi with Acharyar Sri Manavala mamunigal took more than 3 hours as there were dazzling varieties of fireworks on mada streets. 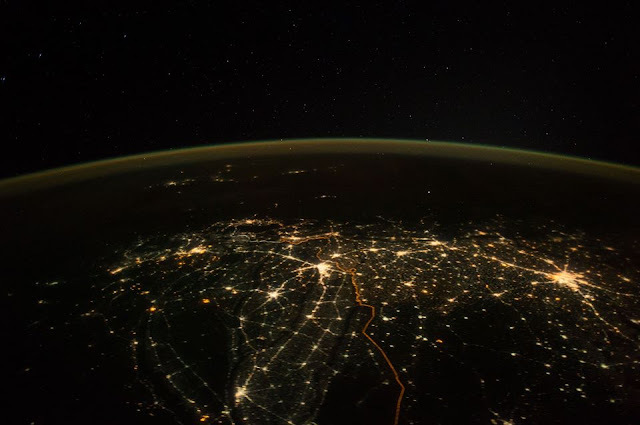 Now a picture of India on Diwali, taken from space by 'NASA', has become immensely popular. 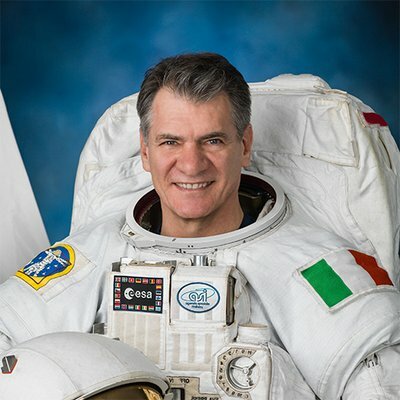 Year after year, we get to see a photoshopped picture getting circulated and hence people are skeptical … but this year Astronaut Paolo Nespoli, the 60-year-old Italian astronaut shared a photo of India, taken from space on Oct 19, 2017. Sharing a photograph of India, as seen from space, he wished everyone a happy Diwali. This is very much on his FB page and many credible news media pages. See this lovely photo here.